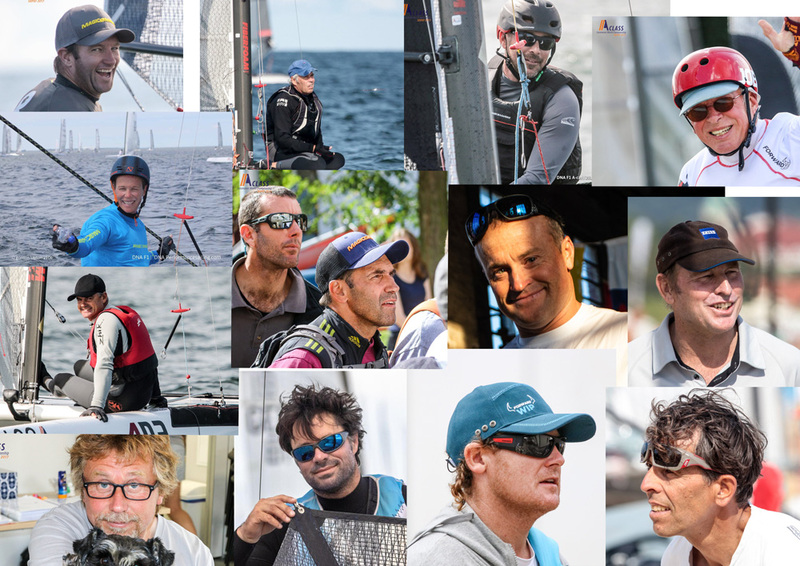 Home / Worlds Preview - a field dripping with sailing superstars! Worlds Preview - a field dripping with sailing superstars! As the season in Europe slowly draws to it's wet, hurricane fuelled close on what has been for some, another rather frustrating year of too much/too little wind and when most European class associations are looking towards their final regattas of the year, it is now only some 4 weeks until the World Championships and the Hervey Bay crowd get their barbies lit. What awaits them are sandy beaches, tropical weather, warm seas, migrating Humpback Whales, and if the natives sharing posts to my Facebook page is anything to go by – spiders, snakes, jellyfish, sharks and mythical bears dropping from trees, all apparently lie in wait their European and US visitors! This year, probably due to the location, we are to be graced by more sailing glitterati than we have seen in many years, and now with an entry list of over 100 sailors booked in. But due to the distance and expense, only 19 European and 13 North American sailors are attending this year, however, their presence will most certainly be felt. This is the first time the two fleets are officially being split into the two ‘A’ Cat divisions for a World Championships and are to sail on separate courses. This was a superb move by IACA, as it has rejuvenated many fleets around the World whose non-foiling sailors had felt rather left out by the foiling revolution overtaking the class since 2015. As a result of this being an open event, a good sized fleet of 43 Classics and 61 Foilers are looking forward to some great racing action on the waters of the Pacific. Former World Champion and Olympic silver Tornado medalist, Scott Anderson, heads up the 27 strong AUS Classic fleet contingent. Alongside him is another Tornado silver winner, Andrew Landenberger, a former European Champion and past IACA President. He is one of the sailors who have started a return to the Classic discipline after realizing it can provide much closer racing and one of many who have possibly decided that they really can’t be bothered with mastering the circus skills sometimes required to sail a foiling boat at that level. Chasing them, particularly if the wind gets up, may well be smiling SWE sailor Alberto Farnesi. The Classics are also honoured by the presence of the two famous and venerable mast-makers in the persons of Piet Saarberg and Ben Hall. Also making up the Classic fleet will be 3 Kiwis, 3 more Americans including Bob Webbon, and Bob Orr, an Italian, a Swiss, in the body of IACA President Charles Bueche, and a Brit, although he's Scottish so comments about the cricket will be met with a blank stare. Meanwhile over on the foiling course, several big names are vying for the top dog’s spot. Favourite amongst them must surely be Glenn Ashby again, now going for this 10th World title after his victory as the ETNZ America’s Cup skipper. Last seen in a World Championship at Punta Ala in 2015, he was untouchable at the Warnemunde Europeans back in August, and has to always be the man to beat. However, never say never, and things can happen to the best of us, especially in sailing. Close on his tail will be a gaggle of other top racers. Current and three times World Champ Stevie Brewin will surely be fighting hard to retain his crown. Stevie was away on a somewhat interesting Nacra 17 campaign in the summer, so didn’t race in Germany. But he’ll be back now and up for this one. Stevie’s training mate, Glenn’s Olympic silver medal-winning Tornado teammate, Darren Bundock, will also be hot in pursuit of his former America’s Cup rival. But he’d better keep an eye out for his wife, the Volvo Ocean race winner and multiple Olympic medalist Carolijn Brouwer, who is also no slouch on the ‘A’ cat. Steve Brayshaw, Brad Wicht and Adam Beatie will also be fighting hard. Coming over the Tasman Sea to challenge are another couple of America’s Cup sailors in the shapes of NLZ sailors Olympic and World 49er champion, Blair Tuke, and his Olympic 49er teammate and ETNZ winning helm, Peter Burling. They will be also be up against the larconic Kiwi Champ Dave Shaw, who finished 4th at the Sopot Worlds last time. There will also be a European challenge for podium places from Double World Champ NED Mischa Heemskerk. Former European Champ Bob Baier is coming from Germany. A couple of handy Polish sailors will also be ready to pounce as National champions Jacek Noetzel and Robert Graczyk are coming over. Two French National Champion sailors of Jean-Luc Le Coq and Emmanuel Dode will also be putting of a good show as will a top Swiss sailor Nils Palmieri and ESP 49 Olympic sailor Iago Lopez Marra. All are capable of a top ten finishes. Not forgetting our other North American friends too. Their strong fleet includes their National Champion Bruce Mahoney along with Larry and Andrew Woods and Michael Krantz, who will be fighting for good places as well. Hence we are expecting some hot racing at Hervey Bay in both fleets. Some results may surprise us, others merely confirm our expectations. Whatever happens though, it won’t be boring, especially if those migrating whales arrive in the start area.